The vision of Rapids Chiropractic is to provide family friendly, affordable, high quality health care and sports medicine for our community and the surrounding communities. We are committed to prevention, natural healing, and wellness in an open, warm and inviting, easily accessible chiropractic clinic. We are located across the street from the Pizza Ranch and Todd’s Gas Station on Highway 75! 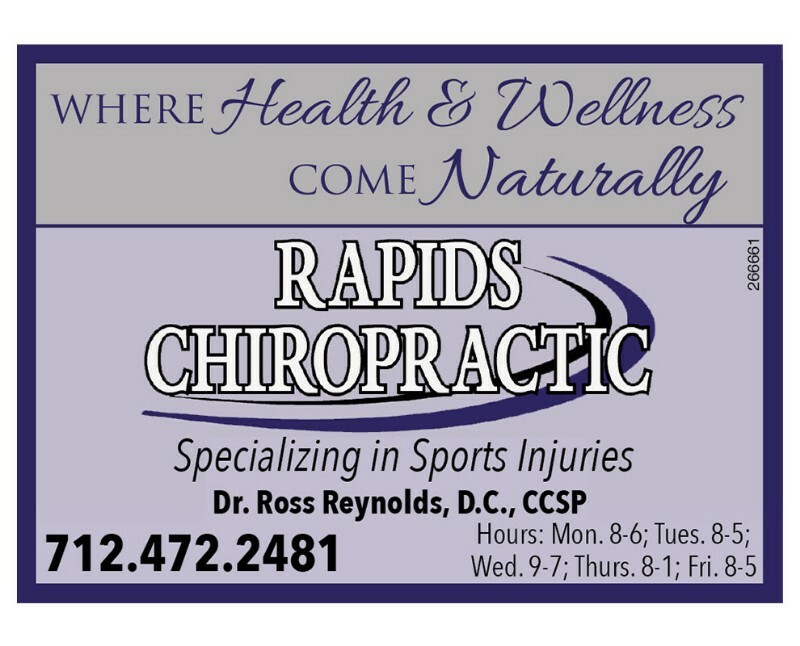 For more information go to our webpage www.rapidschiropc.com …and check us out on Facebook at Rapids Chiropractic!